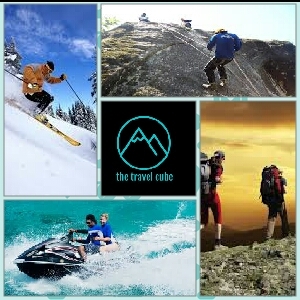 "Essence Of Exploration" – One Stop Solution Of Any Travel plans & Destination. Mt. Kailash, located in the Western region of Tibet, has been considered sacred by Hindus, Buddhists, Jains and Bonpos for thousands of years. For Hindus it is the place where the Lord Shiva is residing and for Buddhists, Jains and Bonpos it is the center of the Universe. This tour includes rigorous overland driving enjoying enchanting Tibetan plateau. In fact this is the perfect way to experience pilgrimage tour to Mt Kailash and Holy Mansarovar Lake. US$ 250 PER PERSON for US /CANADIAN Passport holders. US$ 164 PER PERSON for Other Foreign passport holders. Upon arrival in Kathmandu Airport meet our office representative. He will assist to transfer the hotel. Rest at the hotel. Breakfast at hotel. Sightseeing Tour to Pashupatinath & Budhanilkantha. Evening Tour briefing at hotel in Kathmandu. After Breakfast continue the trip to Syaprubeshi, a small town near Rashuwa Gadhi, the Border of Nepal and China. After breakfast we drive to China border (Friendship bridge). After completion of custom formalities drive to Kerung. Today you travel to Mansarovar via Prayang and Mayum La Pass (5200 m) and arrive at Hor Quo (4560 m). Lunch on the way. From Hor Quo you go for parikarma of Mansarovar Lake by drive and arrive at Chu Gompa for night halt. Today is the day of lifetime as you will have the first sight of Holy Mt. Kailash and Holy Lake Mansarovar. In the morning do Pooja and take holy bath at Mansarovar. After lunch, drive to Darchen, the base camp of Mt. Kailash. The drive takes about 1 & half hours. At Darchen yatris who wants Mt. Kailash Parikarma with horses and porters will have to confirm our guide so that he can arrange all before starting the parikarma. Day 09 1st Day of Parikrama to Diraphuk. Morning drive near to Yama Dwar. Here you will meet our yaks and yak men. We will load all logistics on yaks and start Parikrama. Visit Yama Dwar on the way. The First day of Kora is a gradual walking of 5 hours. From the way you have Darshan of West face of Kailash. Today your night halt at Dirapuk. From Dirapuk view of North face of Kailash in a distance. Yatris who are not going Mt Kailash Parikarma will stay at Darchen till those people going Parikarma return back. Early morning trek uphill Dolmala Pass. It takes about 4 to 5 hours. After reaching top of the pass 5850 m then trek down to the valley floor. It takes another 4 to 5 hours. After cross Dolmala when you move down you see Gauri Kunda. This day is longest and toughest day of Parikarma. So be prepared in mind accordingly. Like yesterday today also your overnight will be in tented camp at Zuthulphuk. Today is last of Parikarma. After breakfast you trek down of 10 km with the winding gradual track. Once you reach the place called Chongdo, our transport will pick up you and drive back to Dongba. Today you night halt will be at Dongba. Morning after breakfast you set off your journey back to Kerung with sweet memory of Mt Kailash and Mansarovar Lake. 03 Nights’ accommodation in Kathmandu at 3 Star Category with breakfast, lunch & dinner [Pure veg. Meals] in sharing basis. 1 night accommodation in Syaprubeshi at guest house with breakfast, lunch & dinner [Pure veg. Meals] in sharing basis. Mineral water throughout Kailash Yatra. Kathmandu arrival and departure transfers by private A/C coach. One half-day Kathmandu sightseeing tour covering Pashupatinath & Budanilkantha by private A/C coach. Kathmandu-Syabrubeshi- Rasuwa Gadhi- Kathmandu transfer by private coach. In Tibet, land transfer by luxury bus. Supporting truck to carry luggage, food, equipment etc. Yak & Yakmen for trekking equipment and food during Kailash Parikarma. Highly qualified and experienced Sherpa staff throughout the trip. Air compressor bag [Gammo Bag]. You can get in touch with me directly, now and in future as well. Anytime, for any travel plans-Domestic/International-customized/fixed departures or event organizing, please fill enquiry form on given website link. Saranya Springs, Sai Baba Temple Road, Munnekolala, Bangalore-560037, Karnataka, India. Travel Agency which you can trust.